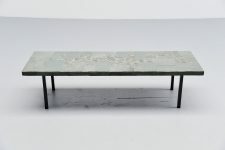 Very nice crafted coffee table made and designed by Pia Manu, Belgium 1960. 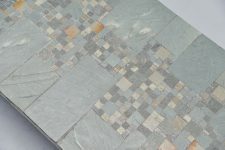 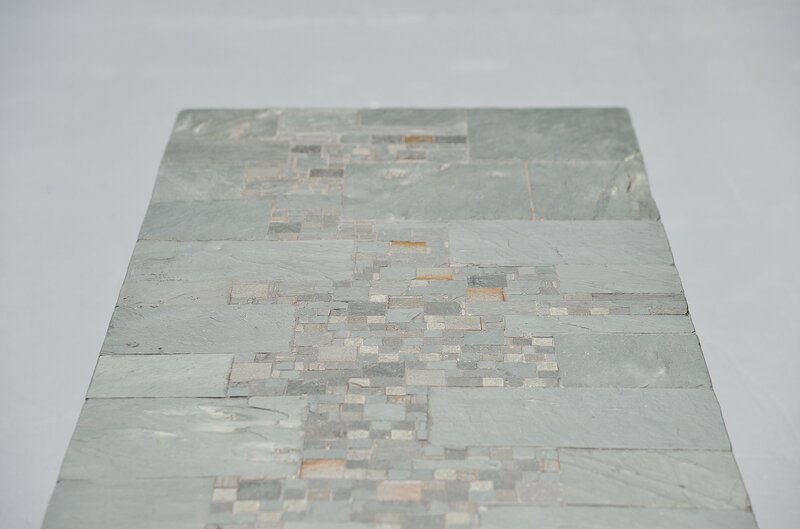 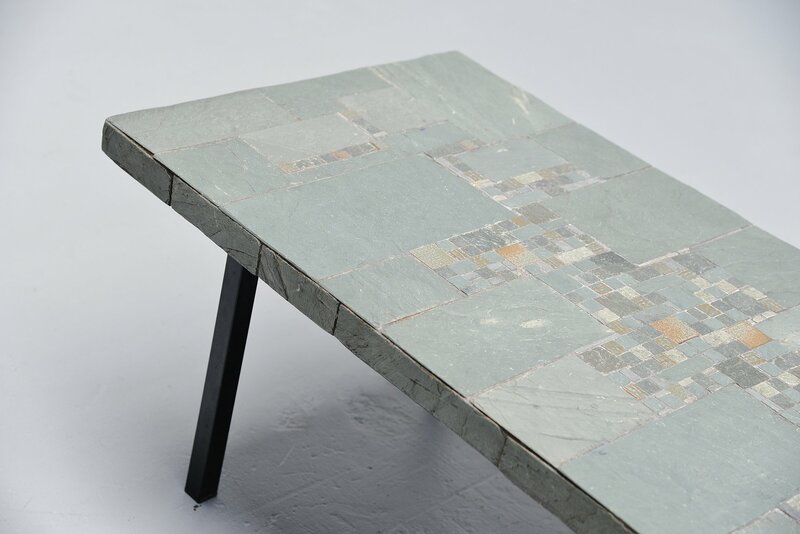 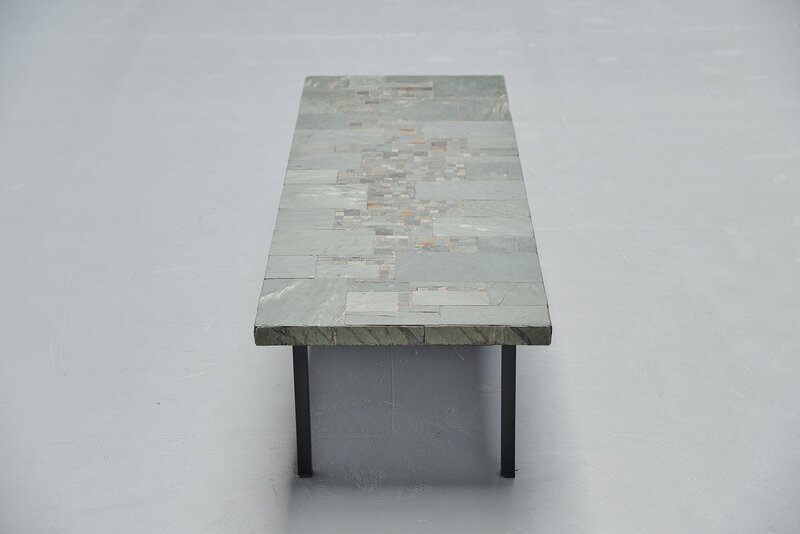 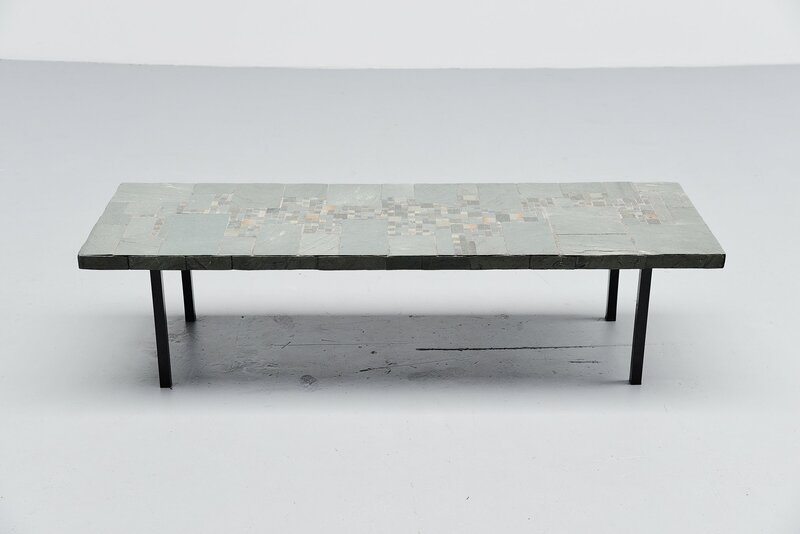 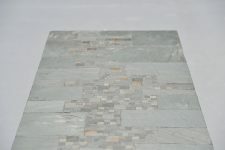 The table is made of several slate stone tiles, an abstract pattern was inlayed in the top which was very typical for the works by Pia Manu. 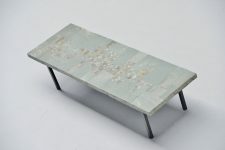 The table has a very nice long and slim size but is very heavy! The legs are made of black painted square tubular metal. 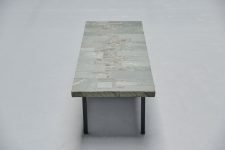 The table is in excellent condition.